.Rain with embedded thunderstorms will move into the area Thursday through Thursday evening. Saturated ground and already elevated rivers and streams will heighten the risk for flooding. Additionally, the potential for localized ice jams on area creeks and rivers will continue into Thursday. Rain may briefly mix with or change to snow before ending Thursday night. 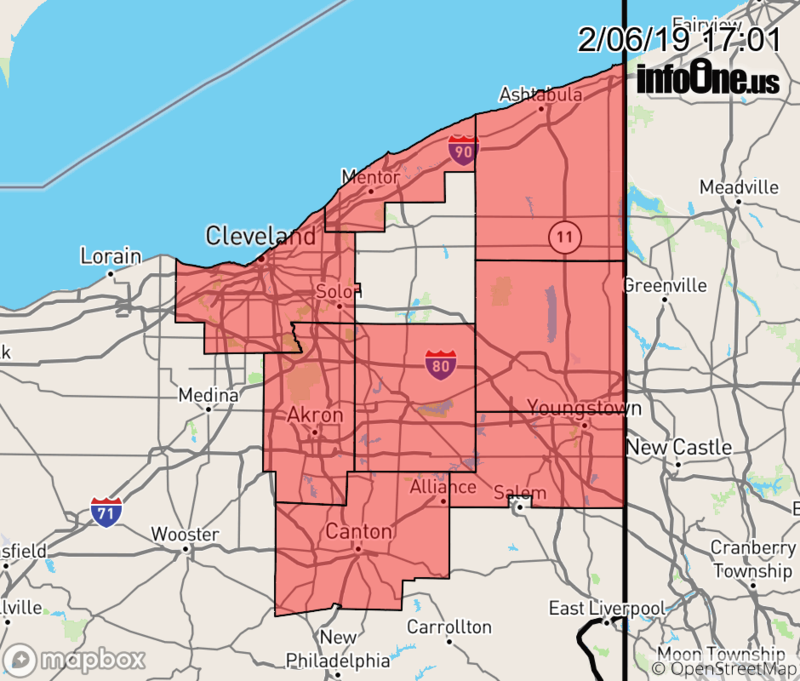 The National Weather Service in Cleveland has issued a * Flood Watch for portions of northeast Ohio and northwest Pennsylvania, including the following areas, in northeast Ohio, Ashtabula Inland, Ashtabula Lakeshore, Cuyahoga, Geauga, Lake, Mahoning, Portage, Stark, Summit, and Trumbull. In northwest Pennsylvania, Crawford, Northern Erie, and Southern Erie. * From Thursday morning through late Thursday night * Moderate to heavy rainfall with showers and isolated thunderstorms will bring up to one to two inches of additional rain to the region. Saturated grounds and elevated rivers and streams in advance of the rain have elevated the flood risk.